Mystery Shopping is where you do a shop on behalf of a company, fill out a form and get paid for it. Sometimes the payment is in the form of whatever you have purchased, other times it is actual payment. I don’t do mystery shopping anymore, but when I did it certainly helped some weeks. I did shops for take away stores such as pizza and Hungry Jacks, cafes, clothing (Cotton On etc), travel and often groceries at Coles or Woolworths. To get started, sign up with reputable companies. It has been so long since I did it I don’t have the details of the companies I worked with. Shoppers are selected based on location, age, gender and suitability. Brands and stores you will be dealing with have specific target markets, so they want to make sure the shoppers are who they want to be selling to. Some companies will email you when opportunities come up that match your profile. Others expect you to log in regularly and apply for opportunities. When you are applying, make sure you read all the terms and conditions to ensure you can complete the entire shop how they want it done. For example, if they need photos, if they need it done in a specific timeframe, check if you can take kids or not etc. Don’t apply if you can’t adhere to all the terms and conditions. Your first few opportunities will probably be rather low or minor such as $20 to shop at Coles, $30 for pizza delivered, $20 to shop at Cotton On, but as you get more experience, other opportunities will come up such as meals out, flights, accommodation etc. You need to build a profile and credibility doing proper shops before you get the really good ones. When doing your shop, make sure you do everything they ask, complete the survey/post shop questionnaire accurately and in a timely manner, then submit it and make note of how much and when you should be paid. Make sure you have submitted all receipts, filled out all forms and taken note of when payments will be made. Check your bank account and chase up any payments that haven’t been made. Mystery Shopping companies are looking for a variety of people, all ages, genders, locations and it is something you can do while on Centrelink without it affecting your payments. 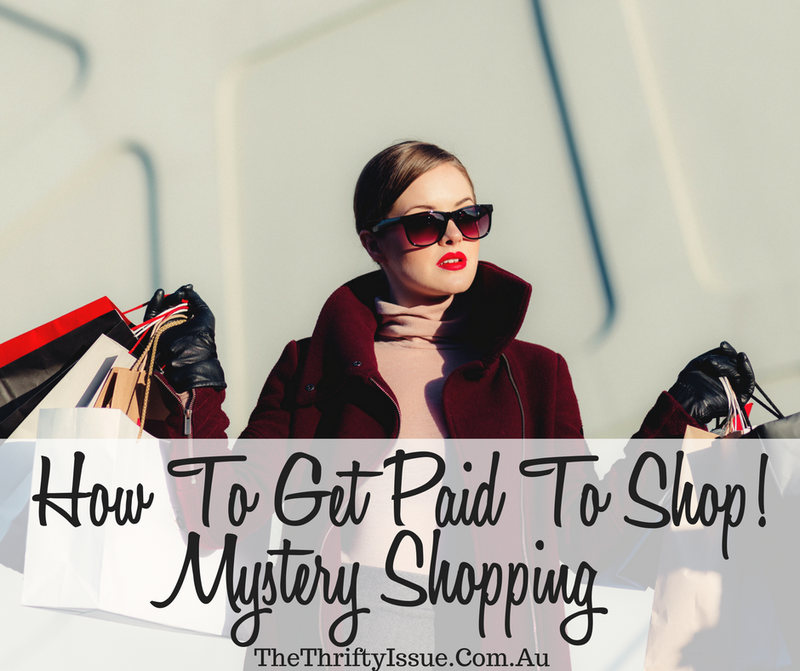 Have you done mystery shopping? Do you have any tips? What company did you work for to do shopping for Cotton On? It was a couple of years ago and I don’t quite remember. I know some of the ones I used to do work for have been taken over by others.